Holiday parties are coming up very soon with Christmas and New Year’s Eve just around the corner. Don’t worry if you haven’t bought something to wear yet, there’s plenty of sales in stores, and you can definitely wear something you already have and just add a new accessory to make a little change to it. The best advice I can give you is to wear something classy and comfortable that goes along with your personality whither you are more conservative or funky. Here are some trendy ideas for this season! One of the biggest trend in the skirt department is the asymmetrical skirt which means that the length is not even all around. I really like the pencil skirt since it has a more structured shape. Wear it with a blouse or a cute top. Don’t forget to choose one that has an appropriate length, a little above the knee! Hesitating between wearing a sweater or a dress? Go for the sweater dress! It’s super modern, comfortable and totally chic! Don’t forget to add some nice statement pieces of jewellery to make this outfit stand out! The heel of the season? The shootie! It is a mix between a bootie and a shoe since it is all closed up and it doesn’t go above the ankle. Choose some black or grey ones that are universal and go with every one of your outfits! Plus, they are super comfy! High waist pants will make your legs look longer and leaner, and with a silk fabric, they are absolutely perfect for the occasion. Add a blazer, a cardigan or a blouse to complete the outfit! 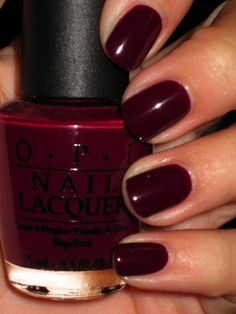 For this season, I would go for burgundy nails, since it is a glamorous version of the traditional Christmas red. I would also go for royal blue, grey, and pale pink. Happy holidays everyone! Thanks for reading!